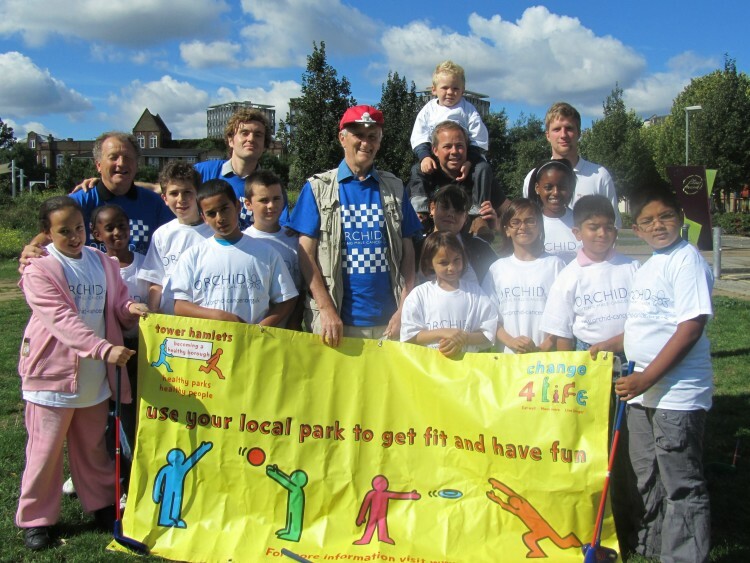 Raising awareness through sport in schools, parks and community spaces. It’s estimated that up to half of all cancers could be prevented by changes to lifestyle, and there are many things we can do to try to reduce the risk of the disease. In the past few years the Orchid awareness team has experienced increasing demand from schools and community groups for further information on male cancers. The Community Golf Programme compliments the award winning DVD “Know Your Balls… Check ’em Out” and our factsheets and leaflets on the benefits of Vitamin D, Healthy Lifestyle & Exercise.The ComGolf project was started in 2011 by the charity’s founder Prof. Tim Oliver. The golfing community had always been supportive of Orchid from the start. Ryder Cup legend Colin Montgomerie appeared in our educational dvd, 3 time major winner Padraig Harrington raised awareness during the Open and Tour winners Simon Khan and Phil Golding have personally conducted community sessions with young people. Diet and Exercise have always been major factors in the battle against cancer and Tim saw that golf was the perfect low impact sport not only to engage men in the cancer message but to benefit their long-term health. How does golf raise awareness of male cancers? A health study commissioned by Orchid found that 82.1% of men were most concerned about the threat of cancer and their body shape/weight yet only 17% of men felt comfortable talking about their health issues whilst the most popular thing for men to talk about was sport with 42.7% of the vote. 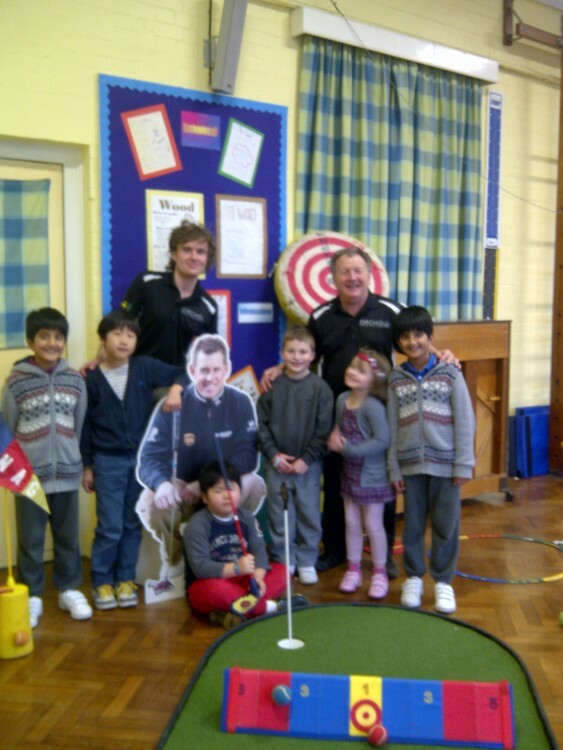 Golf is an ideal sport with which to conduct outreach programmes in the community. Participants are exercising in a fun relaxed environment whilst also learning about their health. Does this mean that golf activities are just for males? No, not at all. Cancer affects everyone not just men. Everybody can benefit from greater awareness. 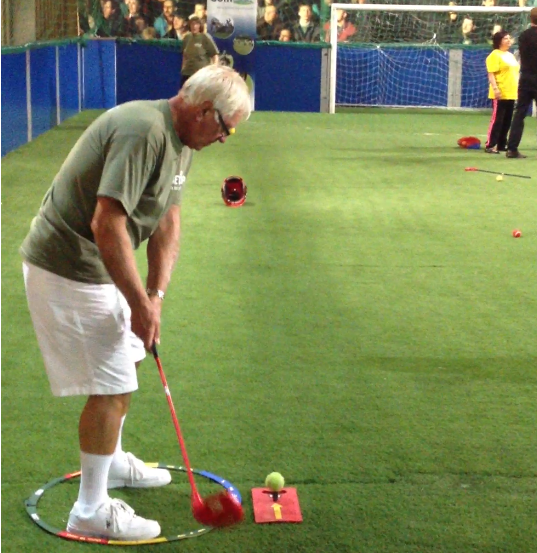 Golf is a fully inclusive activity meaning it can be played by anyone regardless of age or ability. Cancer doesn’t discriminate and neither do we, all everyone is welcome to join in our projects. By being physically active reduces the risk of cancer. Keeping active could help to prevent thousands of cases of cancer in the UK every year. Just 30 minutes of light activity a day, five days a week, can have a positive effect on your health. It includes anything that leaves you warm and slightly out of breath, such as brisk walking. The more active you are, the more you can reduce your risk of cancer. Walking is a great activity that gets your heart pumping. Not only do you give your muscles a workout, you also develop a stronger heart. Research indicates that playing a round of golf offers the same health benefits as a regular 45-minute fitness session. A round of golf burns about 300 calories in a 150 pound individual who plays for 1 hour while carrying clubs. This help you burn fat and unhealthy calories. The constant repetition of the swinging movements also helps tone the muscles in the arms, along with those in the back and shoulder areas. Interestingly, golf can also improve hand to eye coordination and balance. It can also strengthen mental health, making it ideal for older players who want to remain both physically and mentally active in a less strenuous way. Golf combines various exercises, with a competitive sport that anyone can play. Golf involves problem solving. It uses muscles that we sometimes forget we have when sitting in class, playing video games or doing homework. Golf is a family a game, kids love to play. Everyone can play together in a relaxed manner. Golf is inclusive and can be enjoyed by any level of player including adults, children and families. Experts think that about a quarter of all cancer deaths are caused by unhealthy diets and obesity. low in red and processed meat, saturated fat and salt. We are immensely proud of the fact that since 2011 we have taught over 30,000 people the fundamentals of golf, making us one of the largest golf participation projects in the United Kingdom. We were also the first health charity to receive funding from the Mayor for London’s office for an inner city golf programme. 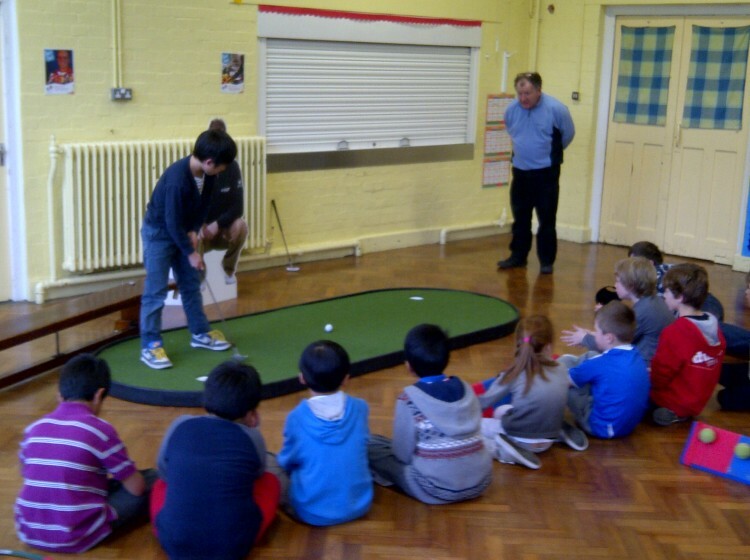 The project started working in London schools in the summer of 2011 using SNAG golf equipment to transform school playgrounds, gyms, leisure centres and parks into golf facilities equipped to run the sessions. Participants receive professional tuition in the fundamentals of golf as well as an important health message for life. Since that summer the project has expanded into breakfast clubs, afterschool clubs, council run activities, senior’s activity and health roadshows in the UK. We have provided interactive activities at St.Andrews, Woburn, The London Club, London’s Olympic boroughs, The National Golf Show and The London Golf Show.